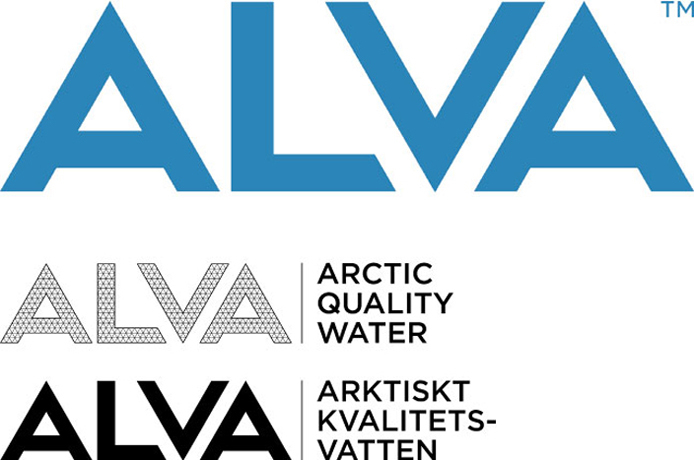 ALVA is a new brand of ‘arctic quality’ water that is sourced from inside the Arctic Circle in the North of Sweden. 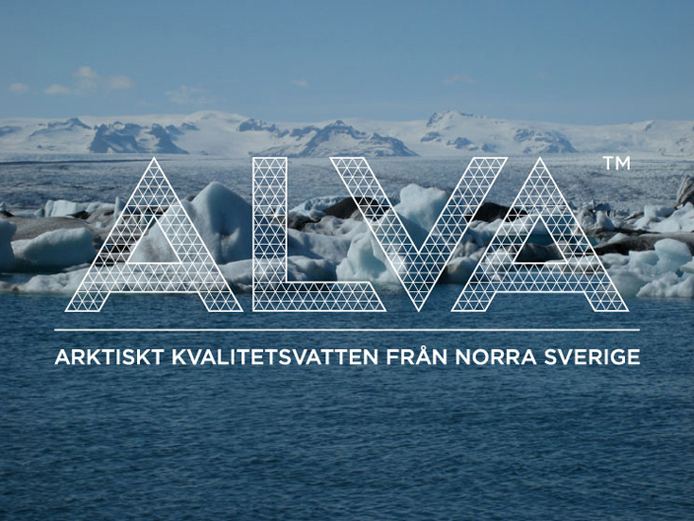 The name ‘alva’ is of Saami descent and means ‘energy’. 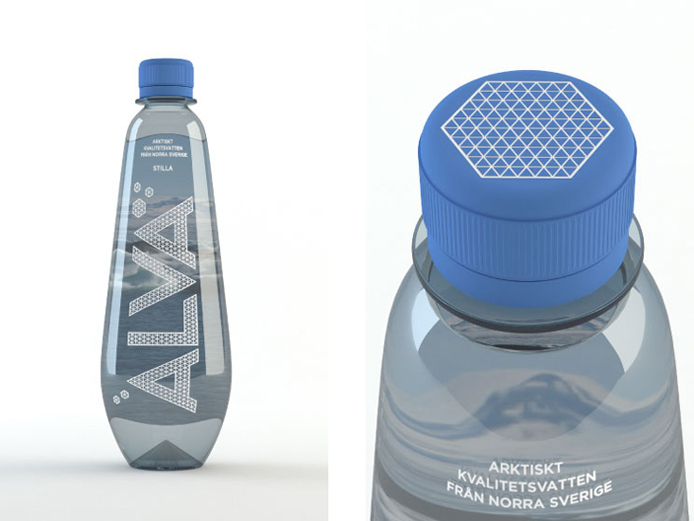 As a start-up business ALVA needed a graphic identity for their communications through to the design of the packaging itself. The solution shown here was developed with product designer Malin Åkerblöm. When people think of the Arctic their main visualization of that area is of the cold, snow and ice. Subsequently the logotype and colour scheme are derived from the crystalline structures and colours that make up ice and snow formations at a micro and macro level. By playing with this triangular web-like structure as an underlying grid a highly adaptable graphic solution has been made. The bottle itself is designed to capture both the hard forms of ice and the soft shapes of snow/ice when it melts. It is designed to be made from a biodegradable plastic that decomposes more rapidly than normal PET bottles.